This elegant beauty can be worn full size or half size, it depends on how you attach the two shoulder straps. Or remove the shoulder straps and wear it as a clutch. Two removable shoulder straps, zip fastening on top. Fully lined, compartment with zip fastening on the inside. 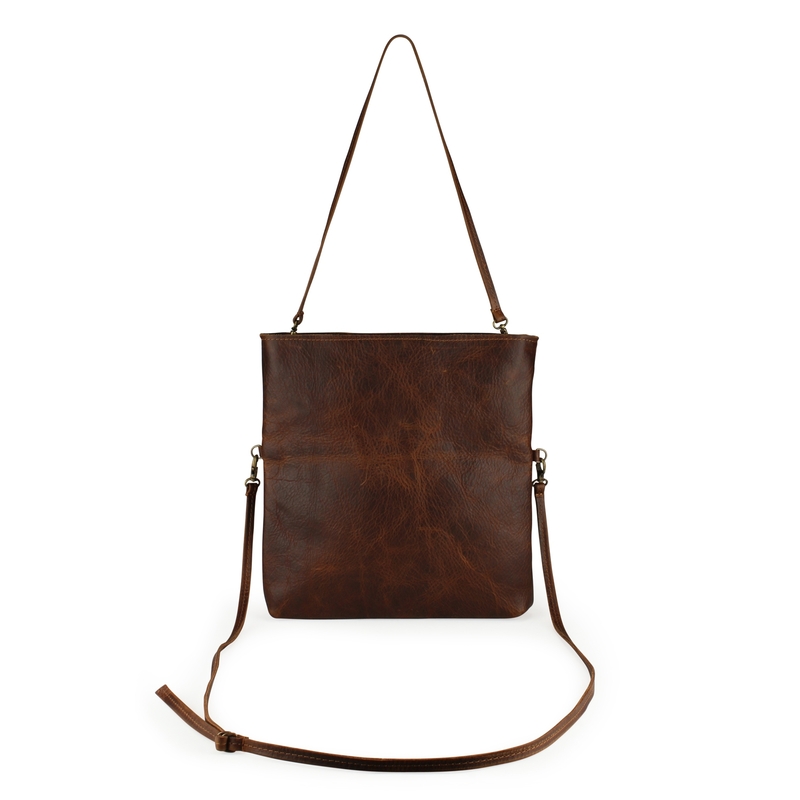 Robust leather gets a beautiful patina by wearing it. 100% full grain bovine leather. Leather is a natural product and has, just like you, its own character. So, don't be afraid of some fine lines; they merely indicate where smiles have been :) The leather will naturally age, but this also means that the colour might slightly change as, like a pair of favourite jeans, it picks up life experiences.